The Iron Gym is an ideal piece of exercise equipment for completing strength training exercises from the comfort of your home. Using this equipment, you can complete an array of strength exercises for the upper body including pushups, abdominal crunches, pull-ups, and dips. To use this equipment correctly, you must first attach it to your door frame. No other hardware is required. The routines with this equipment target all of the major muscles groups, promoting strength and muscle growth. When getting started on your Iron Gym workout, you’ll first want to warm up to make sure your muscles are ready for an intense workout. This is an important step to improve your performance and prevent injury. To get ready, I recommend you spend at least three minutes jumping rope or jogging. Swing your arms in circles to warm up your joints and shoulders. You should complete three sets of the maximum number of exercise you can achieve to stimulate muscle growth. You can more efficiently complete the workout by super-setting the routine. For example, you can start with a set of pushups, and then move immediately to a set of pull-ups. Without rest, you can then complete the second set of pushups. By pairing abdominal crunches with dips, and pushups with pullups, you’ll get the best synergy between workouts. As according to Georgia State University’s Department of Kinesiology, two full weekly workouts at minimum is best to increase muscle size and strength. With three training days per week, it’s ideal to have at least 48 hours of rest between sessions. This is best for iron gym workout routines. For example, if you workouts on Tuesday, it would be best to then workout on Thursday and Saturday. If you work out on a Monday, Wednesday and Friday would be best. To target your lats, the most massive muscles in your back, pullups are the most effective. Pull-ups also stimulate your rhomboids, traps, and biceps. Dips and pushups are great for your shoulders, chest, and triceps. The muscles in your abdomen are worked with crunches. If you spend enough time doing crunches, you can develop a six-pack of tightened abs. The Iron Gym is a great choice to build the major muscle groups in your upper body. With a steady routine, you'll get the results you want in no time. Don't forget to also incorporate some lower body exercises into your work out days. You should focus on practices to complement the variety of core and upper body activities you can do on the Iron Gym. Some other lower body options include items like calf raises, squats, and lunges. These can target the major muscle groups in your lower body. If you’re looking for a more detailed guide on working out with the Iron Gym, click below to download a door gym workouts PDF detailing how to use the Iron Gym MAX. Wondering what's the best doorway pull up bar or how to install a pull-up bar without a door frame? Click here. Hi, I'm Kara! I am a stay-at-home mom with a 5-year-old son and a 3-year-old daughter. I enjoy getting lost on Pinterest, going to Starbucks, and baking healthy cookies. 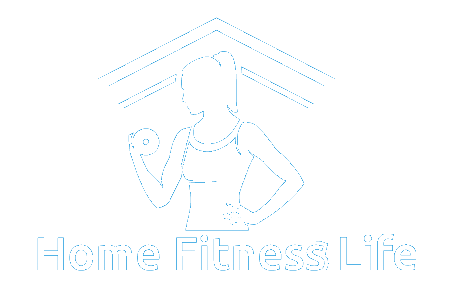 I’ve decided to share my love of fitness by building this site. I hope you enjoy your stay!